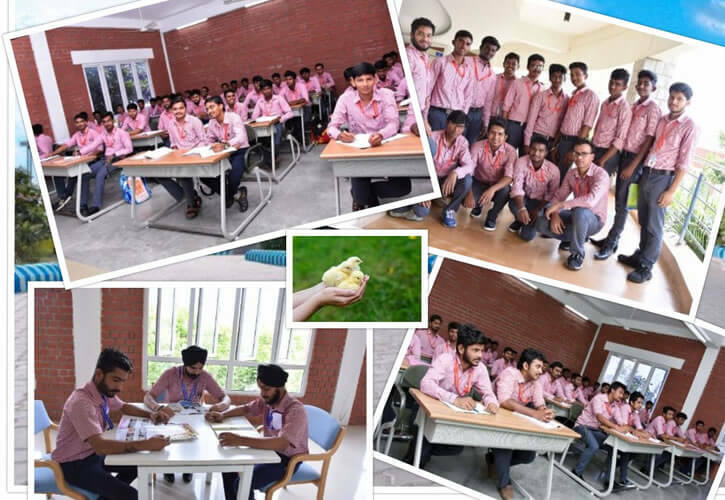 Application for admission to courses should be made in the prescribed application form which is available in the Admission Office at Suguna Institute of Poultry Management, Post Box No. 44, 4/155A & 155B Chinnapappanoothu, vilamarathupatti Post, Udumalpet Tk, Tamilnadu-642207. Students shall submit all the above original certificates to the office for verification at the time of admission. The selected candidates shall deposit all the original certificates with the college and they will not be returned till the completion of the course. They are therefore advised to take sufficient number of Photo copies of all the certificates before submitting the originals to the college. Students who have secured above 80% in their HSC examination are eligible for 50% scholarship on the tuition fees. The scholarship will be given after scrutinizing the application and the decision of the principal will be final. On the basis of the marks obtained, the students are called for interview and the committee selects the eligible candidates. On showing these certificates the college will get the approval of the admission from the university. The register number allotted by the university will be the roll number of the students until he completes the course.Fees once paid will not be refunded under any circumstances. Students dismissed on disciplinary grounds will forfeit the entire fees paid to the college. A student once enrolled for a course is expected to complete the same. If a student wishes to leave the college at any time before the completion of the course, he will have to pay the entire fees for the 3 years.